Remember when a low-cost phone meant something you were kind of embarrassed to pull out in front of your judgmental in-laws? A tiny screen, a chunky plastic body, and a processor with about as much kick as a grasshopper with polio - you'd be lucky if you could get Angry Birds to run on the thing. That's no longer the case - there are plenty of phones available for under $200 that look downright swanky. 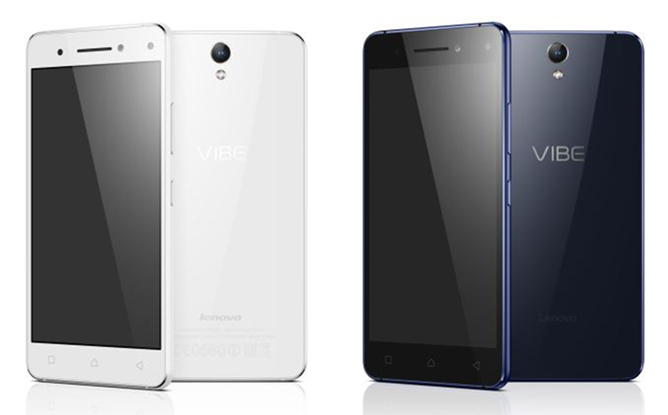 Case in point: the new VIBE S1 Lite, which Lenovo announced at CES in Las Vegas. It's quite a looker, and according to Lenovo, it will sell for around $199 USD. It's a pity, then, that North American and European markets are unlikely to ever see it, since Lenovo has ceded those territories more or less exclusively to its subsidiary Motorola. Even so the VIBE S1 Lite is impressive, with its thin dual-pane glass body, 13MP rear camera, and 8MP "selfie" front-facing cam. Yes, the design is somewhat derivative (Lenovo is still doing a rather shameless impression of Apple with its custom build of Android 5.1), but you could do a lot worse for two Benjamins. Despite being designed for the mid-range (and for large markets that shun contracts - it has a dual-SIM capability), it's something that wouldn't look out of place in a more premium lineup. The rest of the specs are respectable, if not mind-blowing. The VIBE S1 Lite's screen is a 5-nich LCD-IPS 1080p panel, and underneath is a MediaTek octa-core processor running at 1.3GHz paired to 2GB of RAM. The battery is 2700mAh, impressive for a phone that's just 8.5mm thin, though the storage capacity is only 16GB with a MicroSD card slot. (I dread to think how much space those awful Lenovo apps will eat up.) The radio can handle 3G and LTE. Expect the VIBE S1 Lite to be available in China before too long, with probable launches in smaller markets to follow.